Radio has lost its magic. Its mojo is now a no-go. It simply can’t compete with iPods, songs on demand, and the other millions of choices competing for our time. To me, it seems the powers that be don’t even try anymore. They don’t speak to youth, or optimism, or fun fun fun. They pigeonhole everything into focus-group-tested demographics, a sterile facsimile of anything even remotely worth experiencing. But at one time, radio was the central clearing house for all things cool, all things young, all things hip and happening. Before FM progressive radio, it was up to Top 40 stations to speak to teens… and LISTEN to teens… and both groups served each other. In Miami, it was WQAM and WFUN that ruled the roost, with WQAM always winning the ratings battle… but not without a valiant fight from its worthy competitor, whose constant pressure made them strive to keep getting better and better. 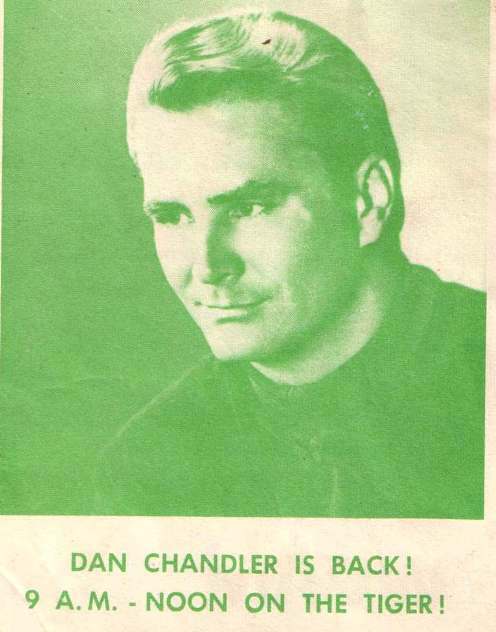 Leading the charge was former WQAM program director Dan Chandler, who has graciously shared station memos and mementos with this blog and its readers. Thank you, Dan, for giving us a view inside the number one station in the entire southern part of the country. Look for Dan’s wonderful souvenirs to turn up frequently, under the heading 560 Flashbacks. I also plan to write about WFUN Boss Radio, and other Florida radio stations that helped define the youth experience in Florida during the 1960s. This blog is not meant to compete in any way with Steven Geisler’s incredible 560.com WQAM tribute site, or former WFUN dj Alan Michaels’ tribute to that great station. I encourage everyone to check out those sites, in addition to this one. I also welcome your comments, and your help in keeping the music and memories of these great stations alive. Check out 560 Flashback #1 — WQAM vs. WFUN. Also check out 560 Flashback #2 — Approved Nighttime Oldies.